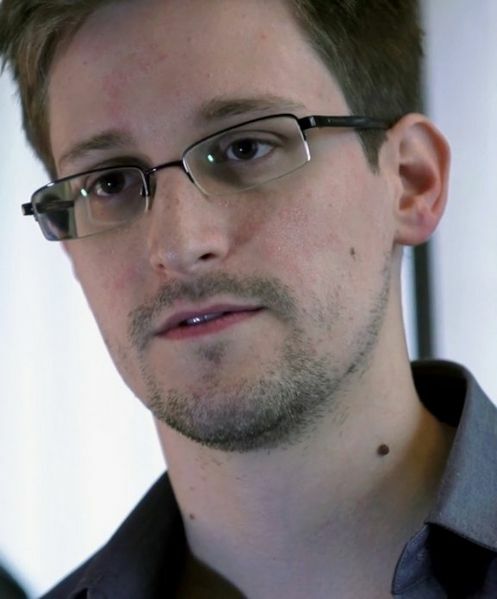 The Snowden leaks have revealed some of the darkest secrets of the British and American intelligence agencies. From dignitaries and dissidents to ordinary people, online and on the phone, we are all being watched. Are our privacy and civil rights being compromised, or is this a necessary line of defence in the war on terror? Shining a light in the darkest of places, we tell the story of the secret surveillance state and those who exposed it. 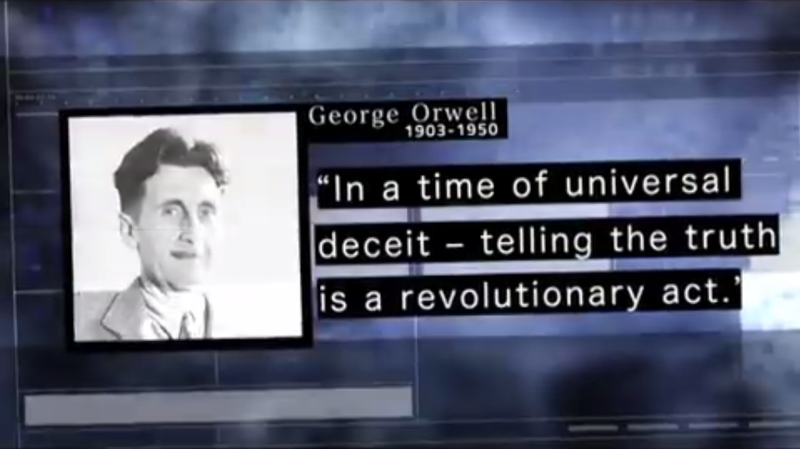 The surveillance programmes exposed by Edward Snowden reinvented the term ‘Orwellian’. Yet while in the USA thousands marched in solidarity with Snowden and against what he exposed; congressmen demanded resignations from their spy chiefs; and authoritative institutions ruled bulk data collection illegal – in London, with honourable exception, all I hear is crickets; and the sound of Britain sliding to 33rd place in the Press Freedom Index. That silence is as much a threat to civil liberties as the surveillance itself. 38 Degrees’ petition demanding a public inquiry into the Tempora surveillance programme is stalling before 5,000 signatures despite the fact leading intellectuals, journalists, political leaders and human rights groups have vigorously condemned it. Leaks proved it was kept secret precisely because Government Communications Headquarters (GCHQ) anticipated a strong legal challenge against this gross violation of civil rights. But instead they’re getting away with it, and journalists are the ones taking the heat. The US may be engaged in a witch hunt but Snowden still enjoys a higher approval rating at home than either Obama or Congress, while in the UK, less than 20 per cent of people consider the surveillance state too intrusive and most disapproved of the leaks. Unlike Washington, Berlin, Paris, even Jakarta – we’ve had no mass protests either. This is partly a problem of coverage – while scandal after scandal has blazed across the front pages of all Europe and rocked administrations from Berlin to Jakarta, they are being systematically ignored by the bulk of the British media. But there is more to it than that. Not six weeks into my first job and I was on the phone to GCHQ, the most guarded faction of the British secret service. I was requesting an interview for my film Watching the Watchers, assuming, correctly, that if they said no to Glen Greenwald, they’d say no to me – but it was worth a shot. The Guardian was more helpful. I paid a visit to their London offices for my first interview, with their resident expert and former security editor, Richard Norton-Taylor. He reeled off an impressive list of case studies: torture, extraordinary rendition and war crimes; arms deals with foreign dictators; spying on peaceful campaigners and blackmailing journalists into betraying their sources. But what really hit home for me astute observation that governments, when they need to conceal embarrassing or illegal activity, will always ‘fly the flag of national security’ because it invokes deference. This has been a strong historical tendency in British political culture. Britain has more CCTV cameras per inhabitant than any other country in the world and, as one Spiegel journalist wrote, many Brits see GCHQ as the: “amiable gentlemen in shabby tweed jackets who cracked the Nazis’ Enigma coding machine in World War II” – even if they have launched the most ambitious programme of global surveillance in history. When the Guardian’s editor-in-chief, Alan Rusbridger, was being grilled over the leaks by a home affairs select committee, he was interrupted mid-sentence by the voice of Jo McCarthy, who had apparently possessed the body of Labour’s Keith Vaz. “Do you love this country?” it demanded. If we had a constitution that enshrined our civil right to privacy (or a Human Rights Act our prime minister wasn’t trying to wriggle out of,) things might get muddy here. But for men like that, Project Tempora is just an expedient line of defence in an endless and borderless war on terror. And if that terrifies you, or you simply maintain that the public has the right to what Snowden gave us – the chance to decide – well, that’s just unpatriotic. Rusbridger’s response was artful. We are patriots, he affirmed, and one of the things we are most patriotic about is our tradition of respect for democracy and press freedom. David Cameron claims the Guardian’s coverage of the NSA leaks shows no sense of ‘social responsibility’. In fact, it has proven the Guardian to be one of the few mainstream media outlets left in this country with any semblance of social responsibility left. Increasingly news is seen as a product and citizens as consumers instead of participants in a dialogue that should be directing our elected representatives. No wonder then, that three quarters of people in Britain think the mainstream media ‘sometimes or frequently lies’ to their audience. This question of defining the media’s responsibility is also the missing link in the debates around press reform. Bending the rules for stories that might sell papers but serves no real purpose – like the phone-hacking of Milly Dowler – is indefensible. But if the Watergate Scandal had been broken by a phone hack, would the ends not justify the means? If blowing the whistle was what it took to expose illegal MP expense claims (which it was) or secret US bombings designed to perpetuate the Vietnam War (which it was) then they are best considered acts of courage. And if similar tactics had been able to prevent the Iraq War by exposing the truth about weapons of mass destruction, that would be grounds for a Nobel Peace Prize. In time it will become clear that we all owe a debt of gratitude to Edward Snowden, who has done us an immeasurable service and demonstrated that, even working at the heart of the secret state, people are not machines. However powerful the pressure to conform, to take the cheque and keep quiet, there will always be those who, moved by injustice, will speak out. But it counts for little, unless we all speak out together.